AgaMatrix Presto Blood Glucose Test Strips are for use with the AgaMatrix Presto and Presto Pro Blood Glucose Monitoring Systems, and provide fast, accurate results. Give your fingertips a rest with alternate site testing and small sample sizes! Includes 4 boxes of 50 test strips (200 test strips total). 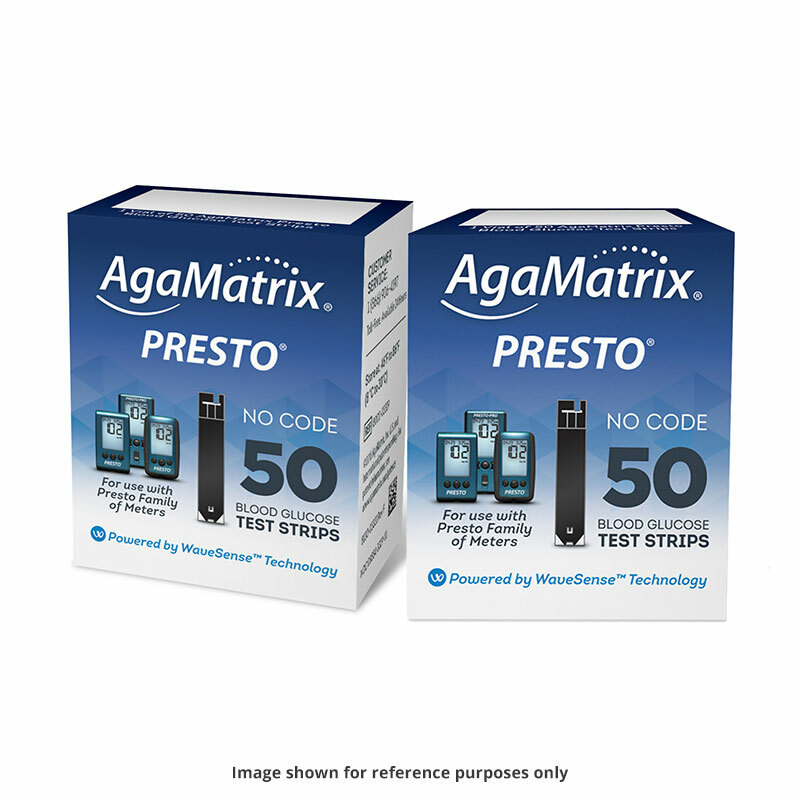 The AgaMatrix Presto Test Strips are for use with the AgaMatrix Presto and Presto Pro Blood Glucose Monitoring Systems, and provide fast, accurate results. Give your fingertips a rest with alternate site testing and small sample sizes! This offer is for 4 boxes of 50 test strips (200 testing strips total). product works well and has reasonable price. The Agamatrix seem to be one of the more accurate meters on the market. I have been using this product for 3 to 4 years without any problems. Results are consistently within 10% of the lab tests from the doctors office.